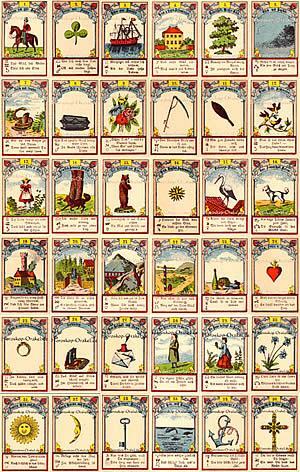 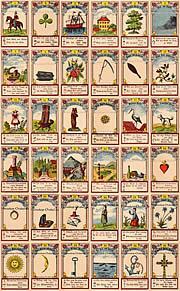 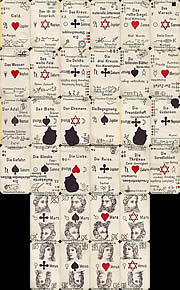 The antique Lenormand cards were printed by the traditional company Gustav Kuehn from Neuruppin (Germany) in the end of the 19th century. 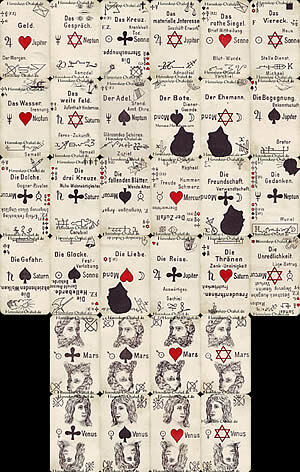 The cards were printed in a complex multi-color print and then cut out card by card by hand. 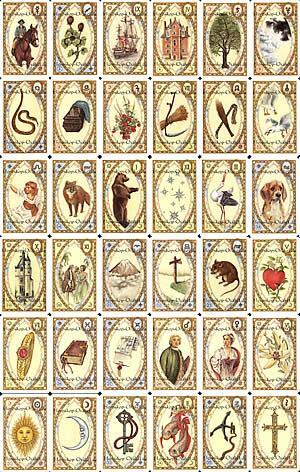 This beautiful Lenormand variant keeps exactly the same Lenormand symbolism as the original Lenormand, in addition, astrological symbols and suitable oracle divination are shown on the cards, for further interpretation. 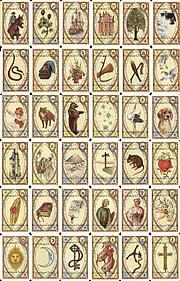 If you like to view an individual card with detailed meanings and interpretations, just click on a card. 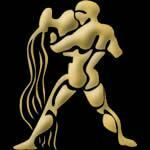 The average rating result is 8.43 of 10 stars.